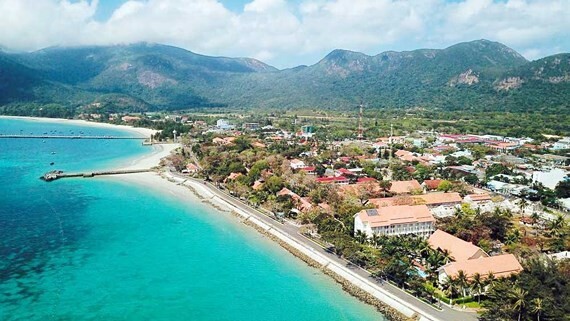 The Ba Ria - Vung Tau Province’s Con Dao Island has been included on a list of the nine best paradise islands in the world to escape to this year by Vogue magazine. Con Dao is an archipelago of 16 islands, each one more beautiful than the last. Preserving the pure nature of the islands, there are only a few hotels built on the island. Another asset that this archipelago offers is its national park with an intact ecosystem, Vogue said. Con Dao has pristine beauty, mostly unspoiled beaches, forests and turquoise waters, and a strictly-protected national park. Between March and September is the best time to visit the island as it has little rain and the sea is more "obedient", making it easier for goods to be transported from the mainland. From HCM City, visitors can take a bus to Ba Ria - Vung Tau Province or Soc Trang Province in the Cuu Long (Mekong) Delta. It will take about two to four hours, and then a high-speed boat to Con Dao Island will take about four hours. Or, visitors can save time by taking a flight from Vung Tau to HCM City, which will take an hour. 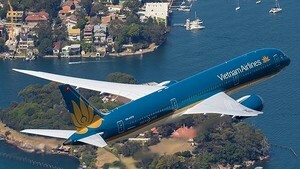 National flag carrier Vietnam Airlines yesterday announced its business performance in the first three months of 2019 with total consolidated revenue of around VND 26,000 billion (US$ 1.1 billion), an increase of 4.3 percent compared to the same period last year.